The 6th International Bosporus Film Festival announced 'The Old Man & The Gun' as its opening film for 2018. The film brings together master figures such as Robert Redford, Casey Affleck, Sissy Spacek, Elisabeth Moss and Tom Waits. The film is inspired by the real life story of Forrest Tucker, 70, who broke out of prison many times and is thinking of committing his last robbery in the film. David Lowney adapted the film from David Grann's article which was published in The New Yorker magazine. Lowney is know for "Ain't Them Bodies Saints" (2013), "Peter's Dragon" (2016) and "A Ghost Story" (2017) which was among last year's best movies. The film landed full marks in Telluride, the host country of its world premiere and was also nominated for the category of "best movie" at the London Film Festival. 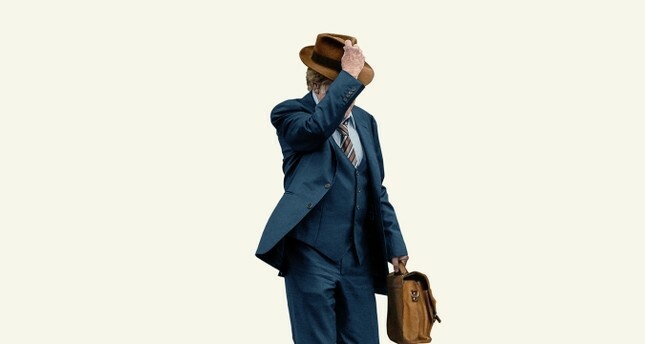 The film seems to be getting Oscar buzz already, and the is of great importance as it will be Robert Redford's farewell film. Oscar-winning actor Redford announced his retirement during the shooting of the film. The film festival will be held from Oct. 26 to Nov. 3, with contributions by the Directorate General for Cinema of Turkish Republic Ministry of Culture and Tourism and the corporate joint venture of Turkish Radio and Television (TRT). It is organized by the International Bosporus Cinema Association and Istanbul Media Academy within the global communication partnership of Anadolu Agency (AA).